I’ll just start with a comment from a reader “Craig seems to be getting more and more extreme and if he has anything useful to say he now fails to get the message across.” Hopefully that reader will go back to the Guardian and not waste his valuable time on my obviously pointless ranting. But perhaps more importantly, although blacks make up around 12% of the population, they account for about 47% of murder victims. So, if black lives mattered to progressive, virtue-signalling lefties surely they should be protesting against the massive loss of black American lives at the hands of black Americans? After all, very few black Americans are killed by white Americans. So, black lives matter to lefties when blacks are killed by whites (just 7% of murders of black Americans). But black lives don’t seem to matter to lefties when Afro-Americans are killed by Afro-Americans (93% of black American murders). Who goes to prison in the US? 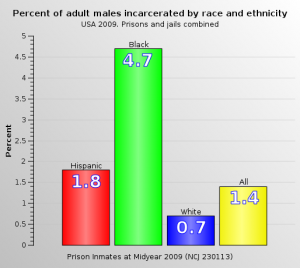 About 4.7% of black American males are in prison compared to around 1.8% of Hispanic men and just 0.7% of white men. Of course, lefties would explain this away by claiming this was proof that the US justice system was racist. But other people might be tempted to attribute these figures to the fact that blacks and Hispanics are more likely to commit crimes than white Americans. And as we’re seeing in London, where multi-culturally enriching Mayor Khan tries to turn our capital city into a cross between Lagos and Lahore, ever more diversity leads to the collapse of traditional communities, a lack of trust and ever-rising crime. So, the big question – why are ethnic minorities more likely to commit crime than people of white European descent? The quick pop-up answer from the lefties is that people from ethnic minorities are more likely to be socially and economically disadvantaged and therefore crime is a result of poverty. But why are they more likely to be socially and economically disadvantaged and more likely to be poor? Is it because people of white European background are racist (which is what most lefties would claim)? Or could it have anything to do with their average IQ levels? 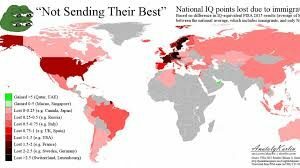 After all, anyone with an IQ of less than 90 is unlikely to be able to function in a modern Western society. 7 comments to Do black lives matter to lefties? 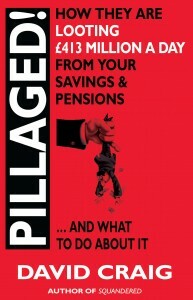 Imagine the uproar were this book been published today. “Essai sur l’inégalité des races humaines (Essay on the Inequality of the Human Races, 1853–1855) is the infamous work of French writer Joseph Arthur, Comte de Gobineau, which argues that there are differences between human races, that civilizations decline and fall when the races are mixed and that the white race is superior. It is today considered to be one of the earliest examples of scientific racism. Mr Thorpe. In the past I have praised you for some of your comments. 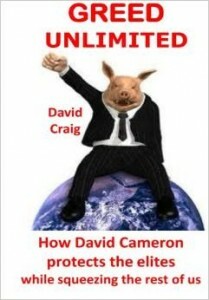 However I must point out that I for one do not wish Mr Craig to close his blog. For me, it is like my morning tea, refreshing. It is a free world to some extent. If you are offended in any way, go elsewhere. Quite right Mr Fields. We all read and hear views every day with which we disagree and one of the ever diminishing freedoms remaining to us is the freedom to ignore opinions we find unacceptable. If Mr Craig chooses to express his views in language rather too robust for the taste of many, so be it. He is entitled to his views and it’s up to him to choose whether or not to take the chance of offending some readers. Short of slander, libel or obscenity, that’s what freedom of expression is. Regarding the topic of today’s blog, facts are facts and are undeniable. Certain ethnic minorities ARE over-represented in the prison population. The vast majority of knife crime is black on black (am I permitted to say that?) It is also a fact that crime in London has risen sharply since Mayor Khan took over. While the death of a 14 year old lad riding a moped, a boy we are given to understand was of impeccable behaviour, is a tragedy for his family, I have yet to read or hear any mention of the fact that a 14 year old of any colour or gender had no business riding a moped on a public road at all, the minimum age for obtaining a licence to ride or drive anything being sixteen. J Fields and Still reading express my sentiments entirely,keep writing Mr Craig. Yes Mr Craig please continue. Truth in a web of lies. Yet another victim of PC and “hate” brainwashing. Instead of the previously normal reaction “I don’t like/agree/want to read such crap, goodbye”, or even better just closing the browser, there is the new normal reaction “I am offended, close down the blog!”. As if every other reader might interpret it the same way and need protecting. 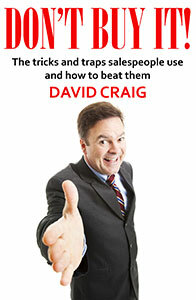 Please keep going Mr Craig, I don’t currently have any of your books but that may now change.